The Donnell Library Center closed its doors in the summer of 2008 after more than five decades. MIDTOWN — It’s official: Orient-Express Hotels is off the hook at the Donnell library. The hotel chain has confirmed that two new developers will take over its plans to build a new hotel and library at the site across from the Museum of Modern Art, which has been standing vacant for years. An affiliate of Tribeca Associates and Starwood Capital Group Global plans to build a new "world-class hotel" and library on the site, according to a joint statement from Orient-Express and the New York Public Library. Crain’s New York Business, which first broke news that a deal was in the works last week, named Starwood Hotels as Tribeca Associates' partner in the buy. The fate of the popular Donnell Library branch has been in limbo since Orient-Express put its development plans on hold because of the recession. "Whilst economic circumstances prevented us from pursuing this development, we are delighted to see the project going ahead,” Paul White, president and chief executive of the chain said in a statement. 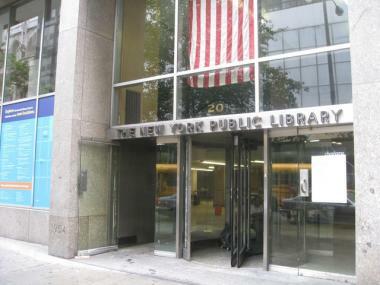 The library expects to begin construction on a new branch on the ground and basement floors in 2014, a library spokeswoman said. Neither Tribeca Associates nor Starwood Capital Group immediately returned requests for comment.